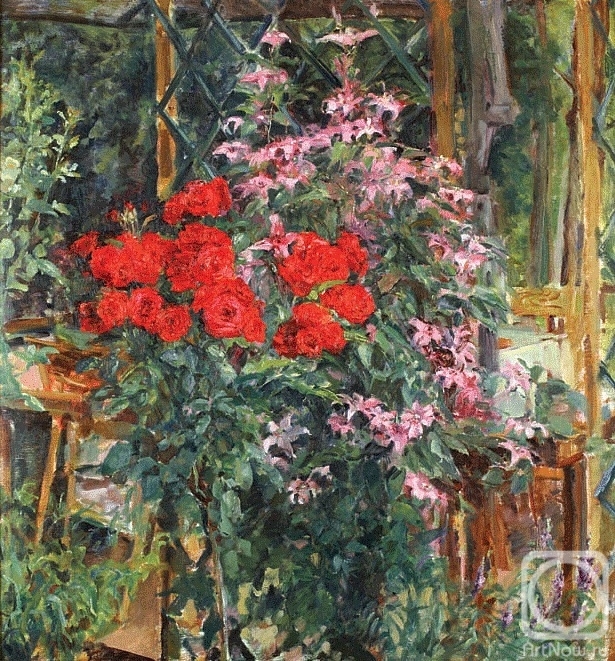 Summer garden - one of the key themes in the works of Natalia Grigorieva. The artist creates compositions of flowers and plants in her own garden, and then transfers the image to the canvas: a continuous creative process from planting - "staging" the composition of plants - before the composition is already did on canvas or paper. The painting "In the Garden" was showed at several solo exhibitions of Natalia Grigorieva in Russia and in Europe. Located in the catalog-monography of 2008, created with the support of Gazprombank.